I have been commissioned to create a large scale projection work for a new eating precinct in downtown Melbourne. 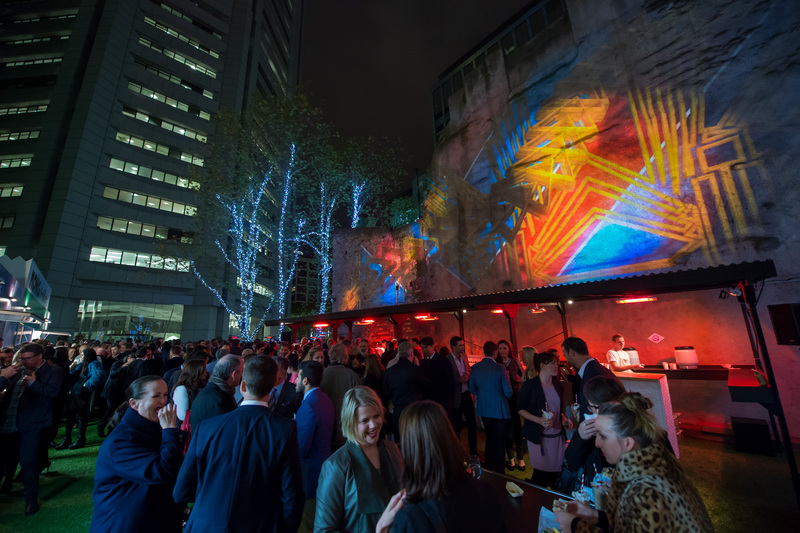 Rue & Co is situated at 80 Collins st Melbourne and features shipping container eateries from Kong, Jimmy Grants, and St Ali. The work is massive and sits across from a equally enormous piece from Melbourne artist Rone. A big thanks to Sean Healy (Skynoise) for his production design on this work. Photo credits to Lucas Dawson Photography.